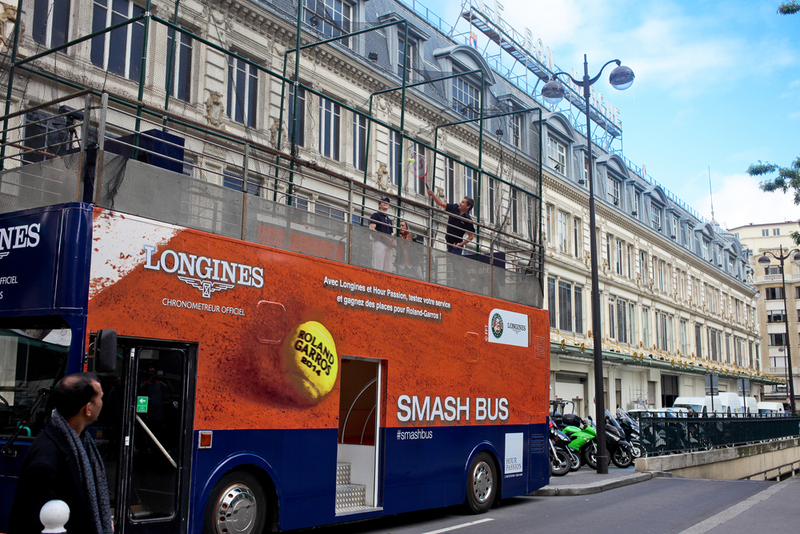 Since 2007, Longines has been the Official Partner and Timekeeper of the French Open, a prime sports event in France. 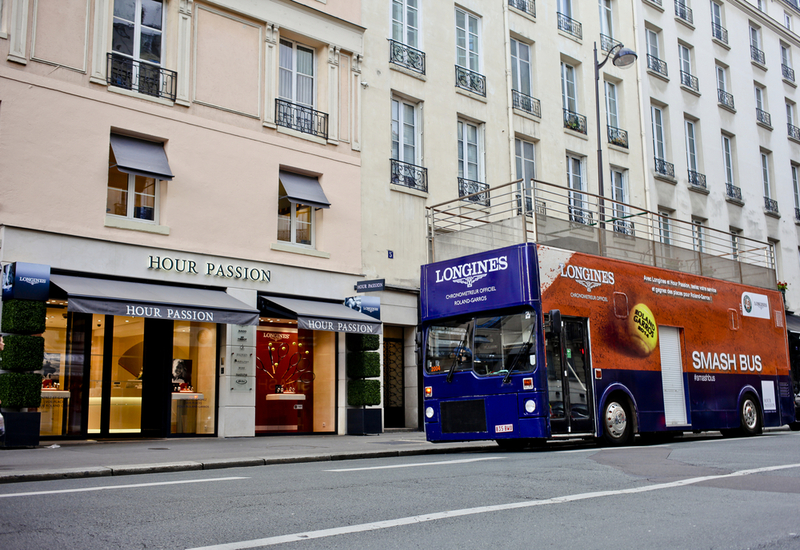 Key challenges: communicate about this partnership and create traffic in the official Longines shop within the heart of Paris. 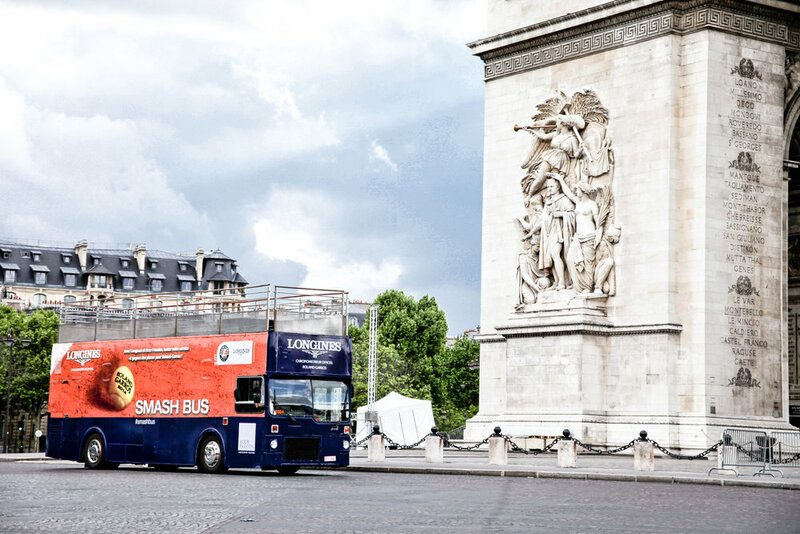 How .YZ did it: an oustanding set-up with a mobile tennis court on top of a double-decker Longines bus traveling through Paris. 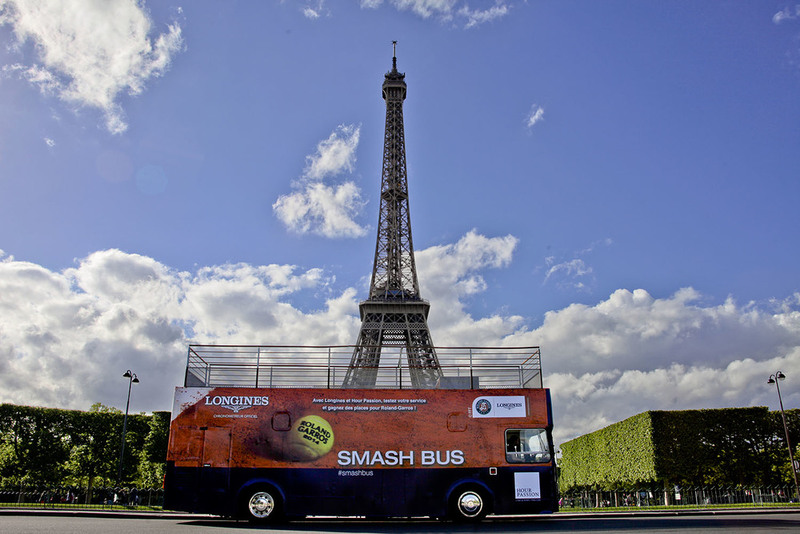 Hundreds of Parisians, tourists and influencers had the opportunity to measure the speed of their serve and share pictures of this moment on social media.